During your working years, many people stay so busy making money, building their careers and saving for the future that when the time finally comes to PIVOT into retirement, they find themselves a bit overwhelmed. If you’re still in the planning stage of life, make sure you discuss your future plans – not just your investments – with San Antonio investment firms like PAX Financial Group so you’re prepared for the change. I say this often: How you plan to spend your retirement is an important question you need to ask yourself. Many working adults are used to putting in 40-plus hours every week and cramming personal and social engagements in during the evenings and weekends. When that schedule stops, it can be abrupt. Sure, during the first few weeks, you might feel like you’re on cloud nine – relaxing and feeling the freedom from the constraints of a full-time career. But once the initial excitement and novelty wears off, filling your days can sometimes seem like a daunting task to the newly retired. To avoid becoming depressed and feeling isolated, it’s important to have a plan for how you’re going to spend your well-deserved retirement. Here are 7 tips on how to get started. Retirement is a big lifestyle change. And it can feel a bit jolting at first if you haven’t prepared for the transition. Don’t dive right in – consider easing into retirement. Depending on your type of career, you may be able to transition to shorter work weeks as your retirement approaches. Spend your days off doing the things you would enjoy doing once you’re fully retired. Reach out to retired friends and set up lunches or golf outings to get used to spending your days out of the office. If semi-retirement isn’t an option, you can still make subtle changes at home that may help you plan for the extra time on your hands. Create lists of errands you have been meaning to run or home improvements you have been meaning to get to but never had the time for. With these lists, you can create tasks for yourself (similar to how you work at your career) and slowly ease yourself into doing less and less of this type of work, gradually transiting from a task-based schedule to something more leisurely. To help ensure you can enjoy a comfortable and financially stress-free retirement, it’s imperative to meet with a San Antonio investment firm such as PAX Financial Group prior to retiring. There are many things to consider, including how much risk you should take with your investments as you approach retirement age and when you should begin collecting Social Security and 401k/IRA distributions. A financial advisor can guide you along your path prior to and during retirement to help align your portfolio with your priorities and help prevent you from outliving your money. It’s never too soon to discuss your future. Contact PAX Financial Group today to see how we can help you prepare for the future. 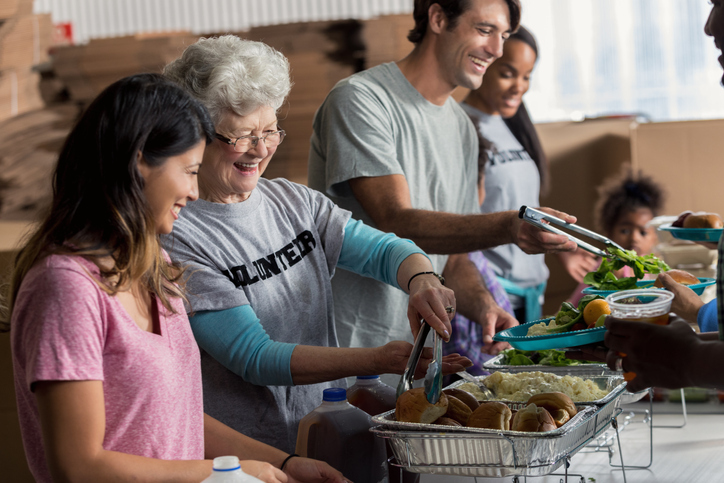 Just because you’re not working full-time anymore doesn’t mean you can’t utilize your skills in a volunteer capacity. If you’re a retired school teacher, you may be able to tutor for free at a local children’s center or even online. A retired doctor may want to volunteer at a free clinic or mentor medical students. Regardless of your work experience, there are many opportunities to share your knowledge and experience with those who could use it most. Plus, you’ll be able to continue doing something you’re passionate about while helping others. This can be a win-win scenario. What do you want to do with your time? Do you want to be more involved with your children and grandchildren? Or perhaps you want to spend more time volunteering at church. Maybe there’s a hobby you have always wanted to explore, or you’re looking for others with similar life experiences (i.e. veterans’ groups). Regardless of your interests, in retirement, you will likely have more time to spend pursuing them. In retirement, it’s important to take care of both your mental and physical health. Are your medical records up to date? If you’ve been putting off getting important check-ups or preventative procedures because you didn’t have time, in retirement, you have no excuse. Also, start thinking now about long-term medical decisions. Do you have any advanced directives on file? Do your loved ones know of your wishes? Having a possibly uncomfortable conversation now can save a great deal of stress and conflict down the road. Working with a San Antonio investment firm can help with these tough decisions. PAX Financial Group has many resources and a knowledgeable team that is prepared to discuss insurance needs, estate planning and finances. Your mental health is just as important as your physical health. For some, retirement can be a tough adjustment. This may be a result of feeling like there is no purpose, or perhaps after losing a spouse. Long-term illness can also affect a person’s quality of life. If you find yourself in this position, seek help. There are many qualified professionals that have experience working exclusively with retirees. Some new retirees may find that they need ways to stimulate their minds after retiring, since they are used to using their critical and analytic thinking skills. There are plenty of mobile apps and computer games meant specifically for this type of “brain exercise.” Or you can make sure to do a daily crossword, sudoku or word search. Anything that keeps your brain actively thinking – and your synapses firing – is a great way to stay on top of your game. Exercise is another way to stay sharp, both physically and emotionally. Friendships are important in any stage of life. And since many of our adult relationships are derived from work, consider the impact that will have on your social life. If many of your friends aren’t retired yet, you may find you lack companionship in your free time. Consider joining a group with other retirees. Book clubs, gardening groups and veteran organizations usually meet during the day when your non-retired friends are still at the office. If you can’t find a group that suits your interests, start one! Social media can be a great place to get started. Being prepared to PIVOT into retirement can help set you up for long-term success and satisfaction during your retirement years so you can live your life on your terms.